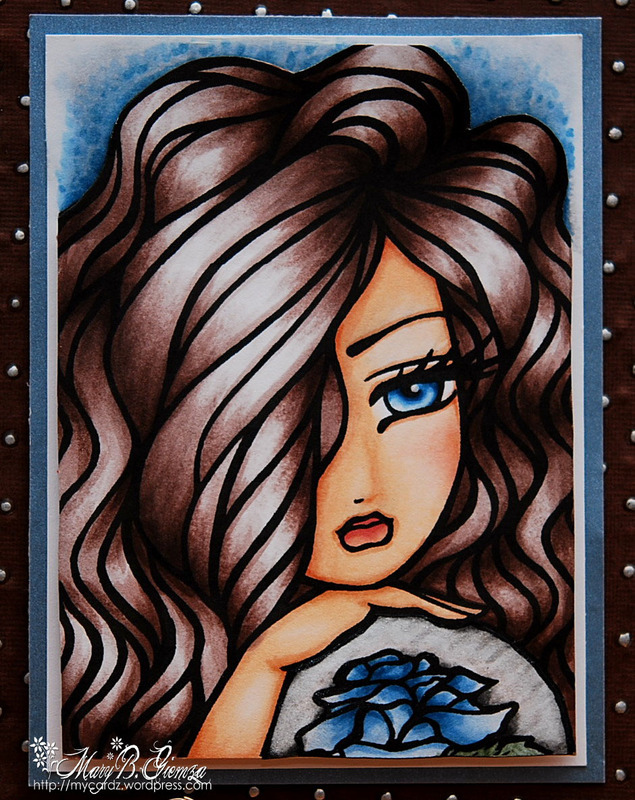 Copic Creations Challenge – My Cardz ~ My Passion . . .
Copic Creations ~ Coloring Fur with a Twist! I’ve been soooo excited about today’s Copic Creations challenge and just couldn’t wait to share this cutie with you! Our challenge this week is Copic Coloring of Fur … with a TWIST! This cutie is from one of our sponsors this week – Stamp Fairy.com ~ LOTS of adorable digis there! 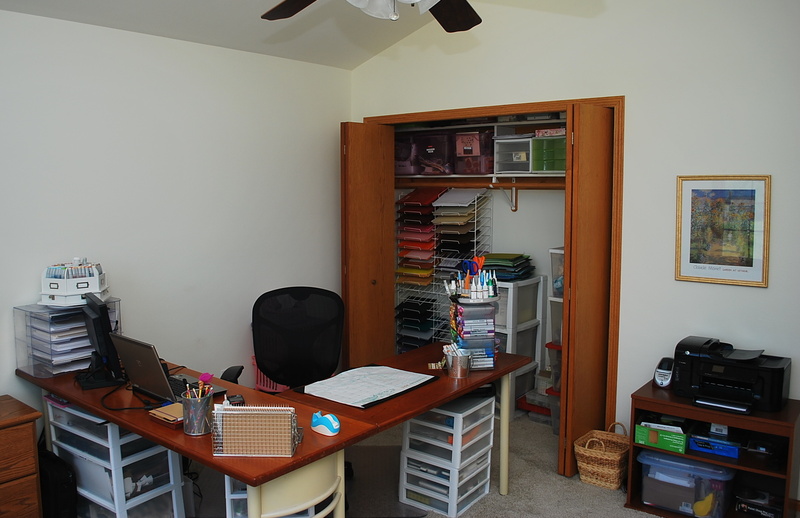 We also have a second sponsor – My Creative Classroom ~ you REALLY need to check out their amazing selection of classes! You better jump over to check out the prizeS up for grabs this week!! All the details AND the awesome DT samples can be found HERE. Copic Creations Challenge ~ Pretty in PINK! I must say this gorgeous little girl is definitely Pretty in Pink! For some reason, I love little red-heads in pink outfits. Not sure where this originated, but I’ve stuck with it here! 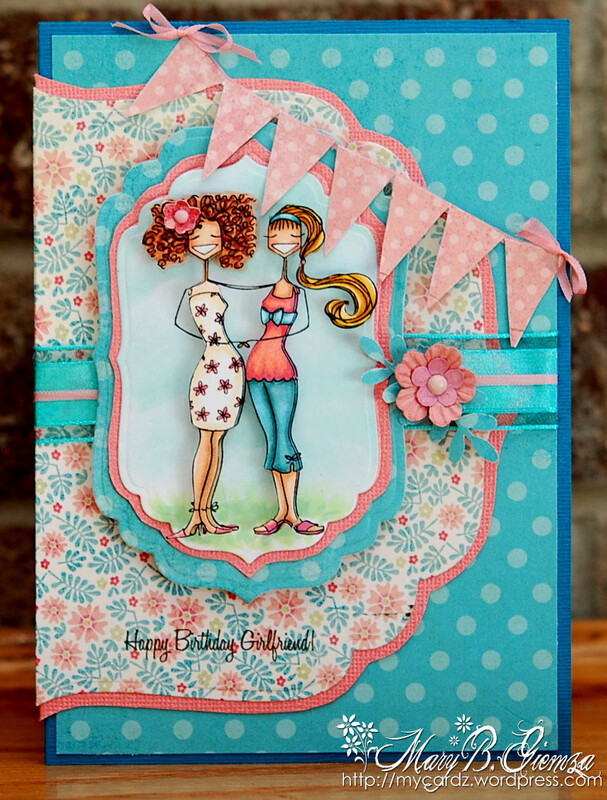 Our challenge this week at the Copic Creations Challenge blog is the color PINK! Easy, peasy. So, no excuses for NOT joining us! one lucky participant will receive the FULL SET!! So, run, don’t walk …. to the Copic Creations Challenge blog for all the details on this challenge and your chance to see ALL the gorgeous PINK images from the always amazing Copic Creations Design Team! Phew! 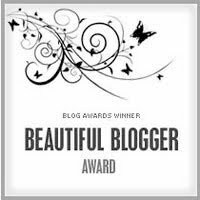 A busy challenge day in blogland today. I’ll try to keep my commentary short and sweet today since I have LOTS of pics to share with you. 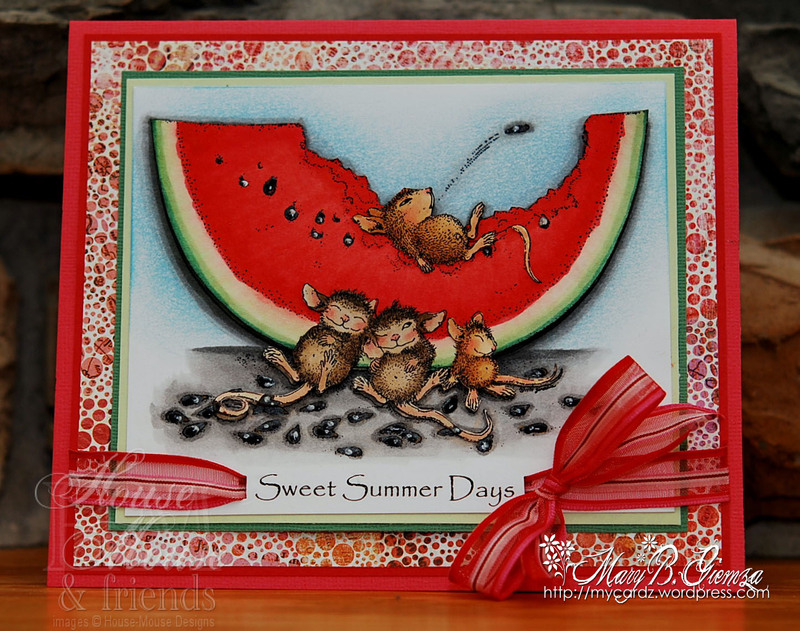 We’ve got a new challenge for you at the House Mouse & Friends Challenge blog … GETTING FRUITY!! All the details can be found HERE. And, a new challenge at the Copic Creations blog … USE YOUR BG (blue green) COPIC MARKERS. Sponsored by the awesome digital stamp company A DAY FOR DAISIES!! I love everything from this store! All the details on this challenge can be found HERE. 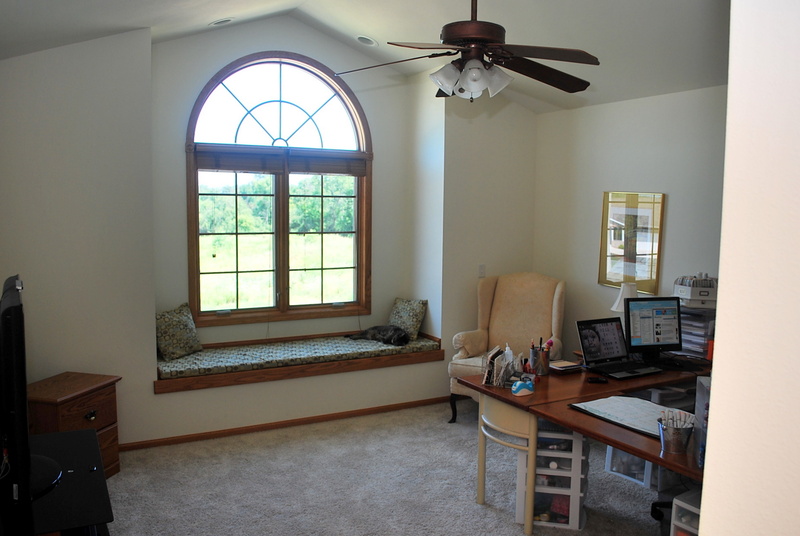 Finally, I’ve been promising for a VERY long time to share photos of my new crafting digs …. way back from when we first moved in March of this year. Time sure flies when you’re having fun! Soooo glad I didn’t DISTURB her nap! Please note, my “office” is not usually this neat! But, since it was all nice and clean, I thought it would be a good time to snap a few pictures. Thanks for stopping in today. 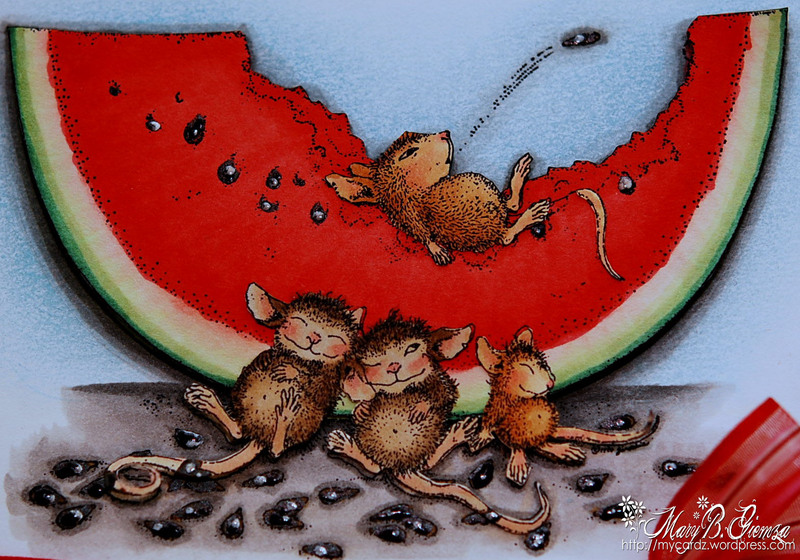 Be sure to stop at the House Mouse and Copic Creations challenge blogs to check out the always awesome cardz from both amazing Design Teams. Well, a day late and a dollar short seems to be the story of my life lately! 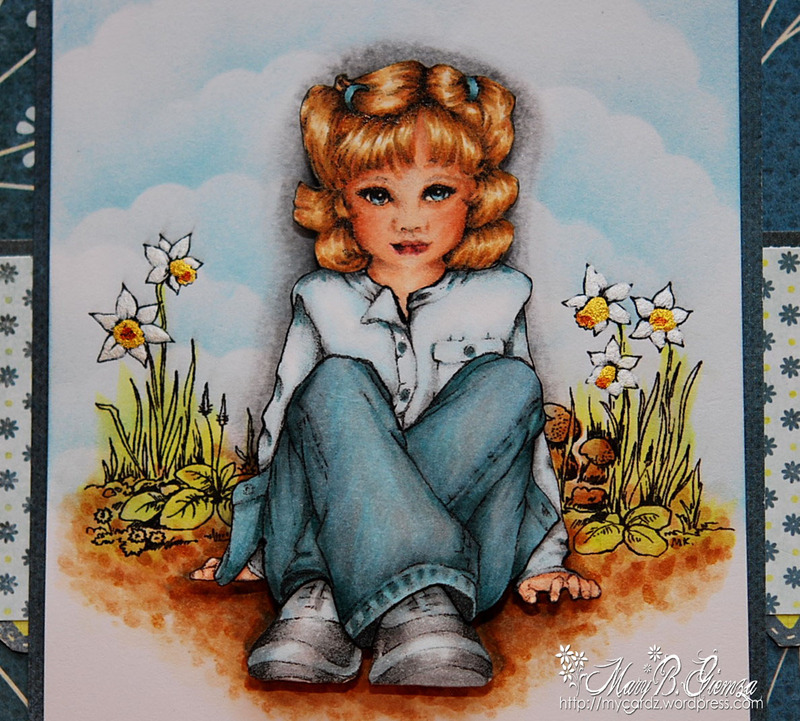 This cutie is for our Copic Creations challenge on FRIDAY ~ Coloring white clothing with Copics. We have an awesome sponsor this week – La La Land Crafts, who will be giving a $25.00 Gift Certificate as the prize!! I hope you have a chance to stop over at the Copic Creations blog for all the details. 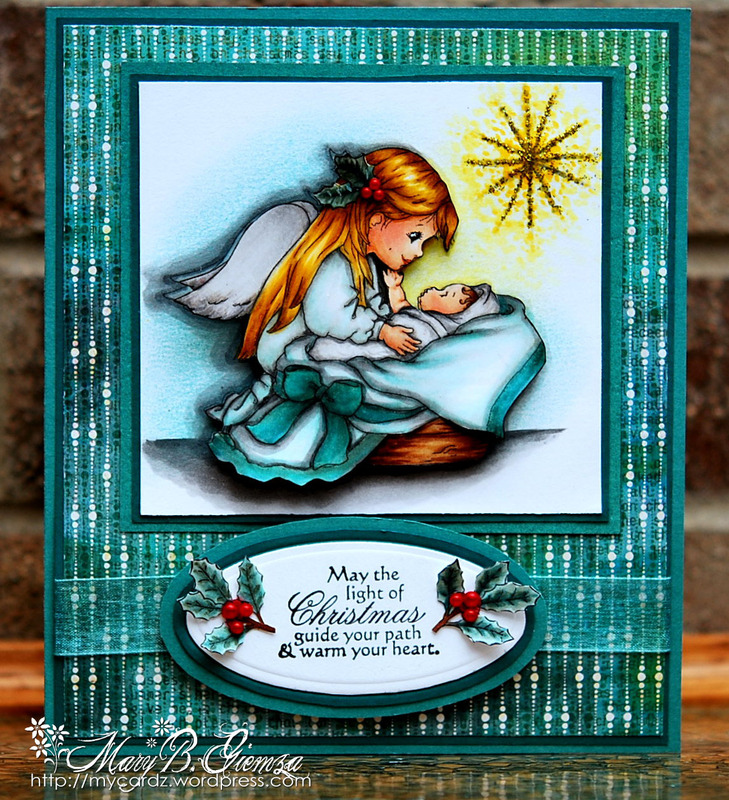 I know you’ll be inspired to join us after you see all the gorgeous cards from the DT! 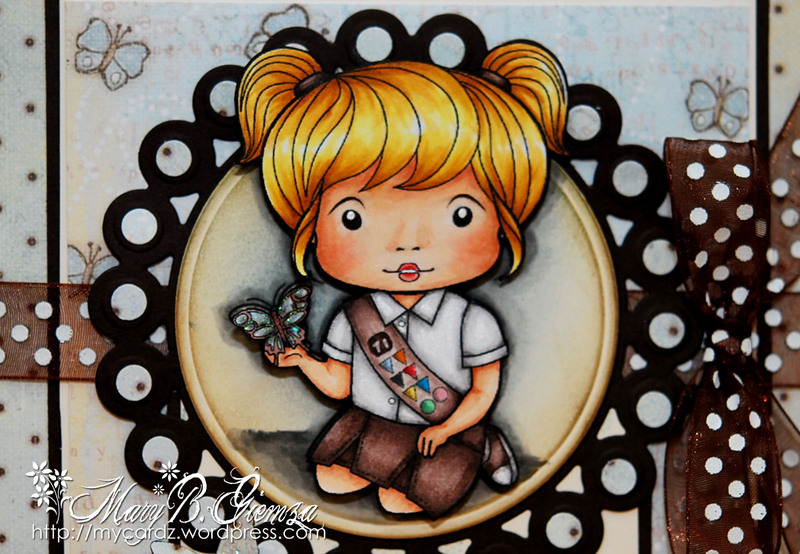 This adorable Girl Scout is Scout Marci from La La Land ~ I HAD to choose her since my granddaughters are both brownies now and I knew they would love a card with this cutie pie! I also couldn’t resist the computer generated sentiment either. It’s been one of my favorite sayings for Girl Scouts. I hope you’re having a GREAT, lonnnnnnnnnnnngggg and relaxing weekend! Thanks for stopping by. 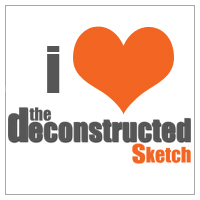 Copic Creations ~ Distressing with Copics & TWO-YEAR Copic Blogoversary!! It’s finally time to celebrate our TWO-YEAR ANNIVERSARY over at the Copic Creations challenge blog!! Wooo hoooo, I never would have thought we’d still be around!! But, I’m sure glad we are! We’ve got LOTS of prizes to celebrate … you really MUST stop over to see the entire list! AND, some of the DT members will be having blog candy on their personal blogs too!! 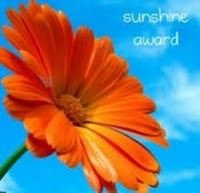 $25.00 Gift Certificate to 7 Kids College Fund!!! All you have to do is leave your name and blog address on the Inlinkz form below. 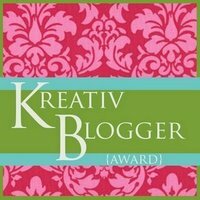 If you don’t have a blog … no worries – just use my link (https://mycardz.wordpress.com) You’ll have until June 14th at 12:00 PM CDT to enter. 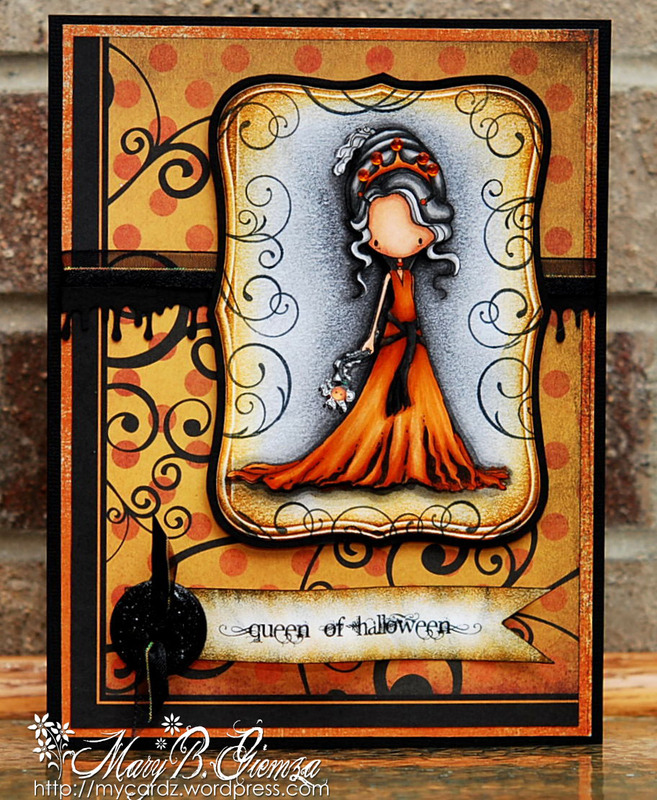 Our challenge today is Distressed/Vintage cards or projects with Copics. We’d love to have YOU join us for a chance to win these fabulous prizes!! All the details can be found HERE. 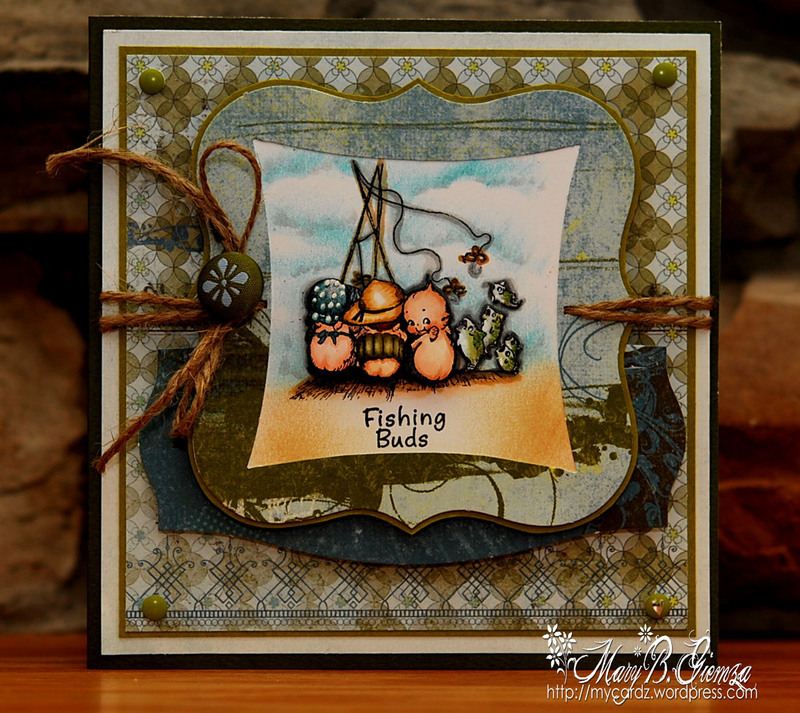 I’m hoping this card looks a little vintage to you! I really have issues with this style. 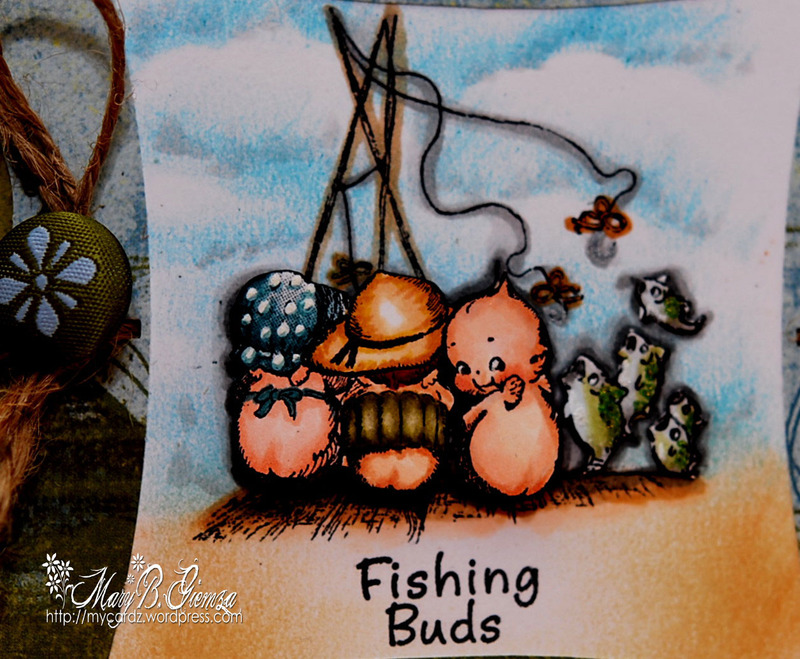 I have to smile every time I see this image though … it’s from Crafty Secrets (our sponsor this week) and from a set called Fishing Buds. I love, love, love the old fashioned kewpie dolls and the face on the little one on the end just really cracks me up! Here’s a link if you’re interested in reading the “story” of kewpie dolls. So, don’t forget to stop over at the Copic Creations challenge blog to check out all the amazing prizes being given away!! You won’t want to miss this one!! We’ve got a new challenge today at the Copic Creations blog ~ coloring SKY/CLOUDS with your Copic markers. You’ll find lots of great tutorials to help . . . AND, our sponsor is Lili of the Valley ~ home to some of THE cutest images around. 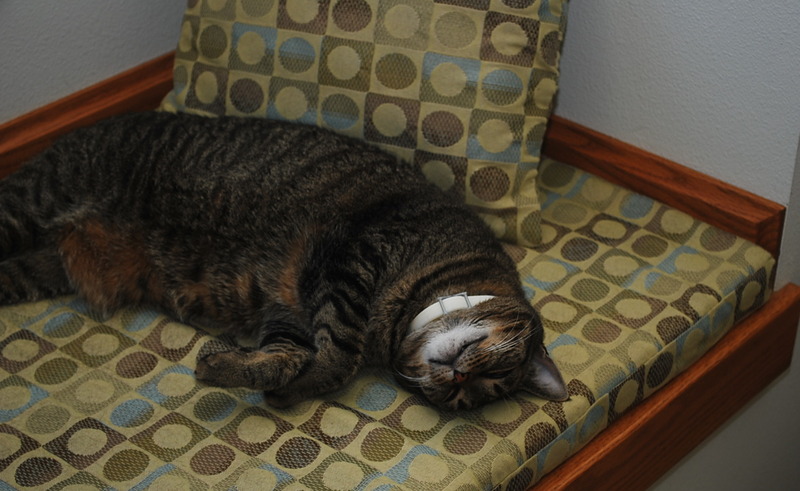 This little cutie from Lili of the Valley is called Lazy Afternoon. I thought he might work well as a Father’s Day card … a little early! I hope you can hop over to the Copic Creations blog to take a peek at the ADORABLE cards from the DT … all made with images from LOTV. Thanks for stopping in today. I hope you’re having a great weekend. Hellooooo out there! I hope there are a few of you who still remember me. 🙂 I know it’s been ages. 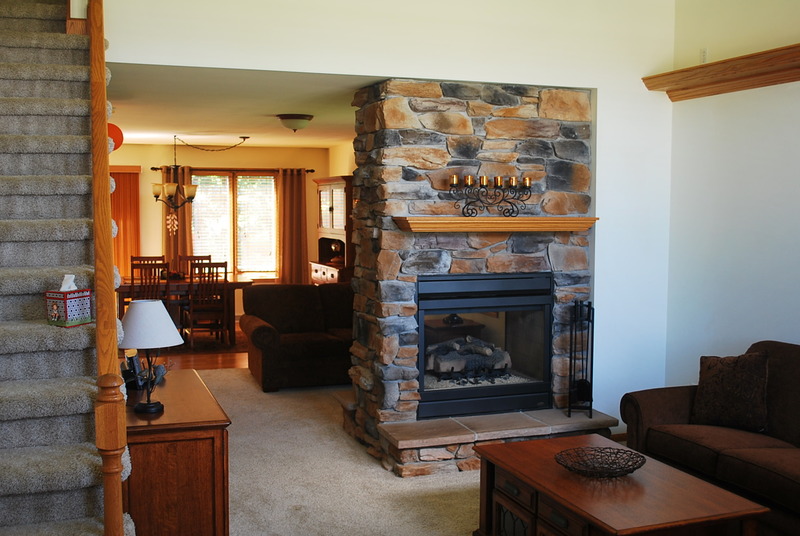 We’re finally all moved into the new house … not necessarily all unpacked, but we’re getting there! Now, I’m dealing with over 2,000 emails from the past month and a half!! Holy moly, I’ve missed a lot. Hopefully, anyone waiting for a response will have a little patience with me since I’m moving very slowly. I’m happy that my first post after this long absence is for today’s Copic Creations challenge. I think we’ve got a great one today too! We even have a poll on the blog for you to vote for your favorite paper. The Design Team was provided with one of the newest Copic papers — Cryogen White — from the Paper Temptress, our sponsor this week. I must tell you …. I LOVE, love, love this paper! It’s like coloring on butter! LOL All the details AND a chance for you to win a $25.00 Gift Certificate to try this paper for yourself can be found at the Copic Creations challenge blog. In addition to ALL that I’ve missed over the last couple of months during our move, I also missed several birthdays — soooo, I thought this ADORABLE image from InStyle Stamps would be perfect for a belated birthday card. Isn’t she the cutest? 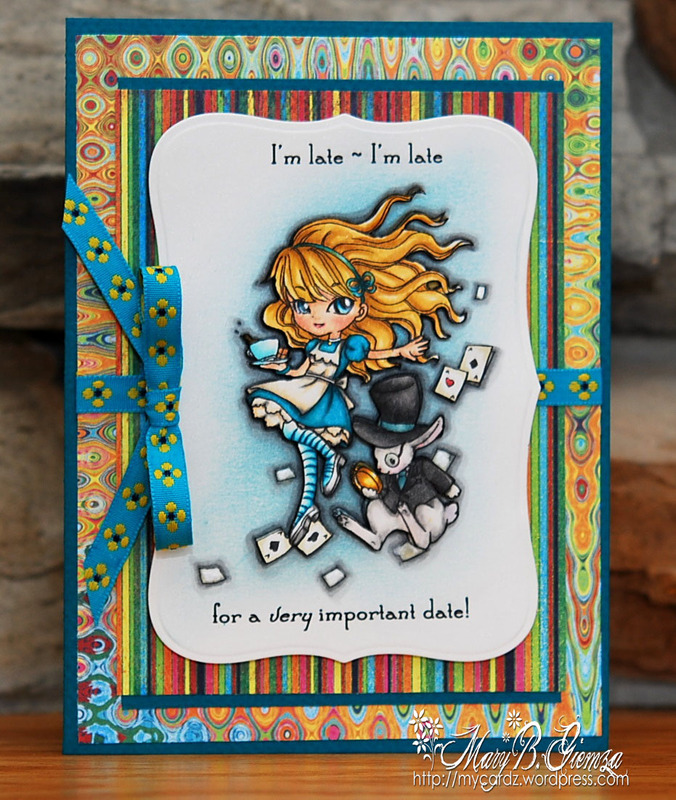 This is, of course, Alice (from Wonderland), part of the new Fairy Tales Collection from InStyle Stamps — you can find the whole set HERE. Thanks so much for stopping by today ~ I’ve missed you all! I hope you have a few minutes to check out our Favorite Paper challenge at the Copic Creations challenge blog and all the awesome sample cards from the Design Team. 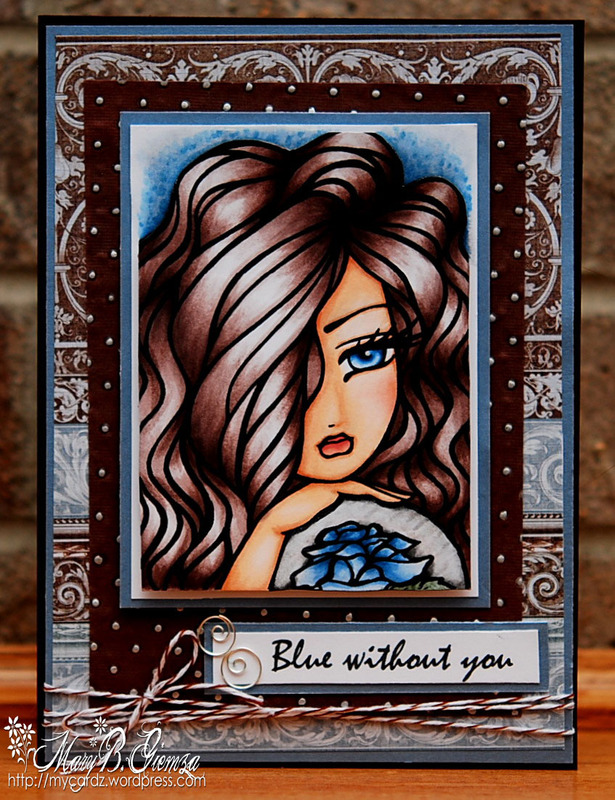 Copic Creations ~ We’ve got the BLUES! Hello my long lost friends! It seems like ages since I’ve posted. Actually … it HAS been ages!! I’ve really missed you all.
. . . BLUES . . . I think between the Bs, BGs and BVs there are more blue toned colors than any other in the Copic family. If you’d like to see the always amazing Design Team’s favorite blue combos, be sure to pop over to the challenge blog. You’ll definitely be inspired! This “simply adorable” little girl is a Sugar Nellie Simply Adorable digi image called Connie. She truly was a pleasure to color ~ I love images like this where the artist supplies lots of shading lines which really makes coloring them a JOY! 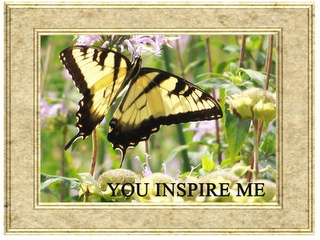 ***Edited to add: The lovely background image is called Daffodil Dell ~ a digi image from Make It Crafty!! 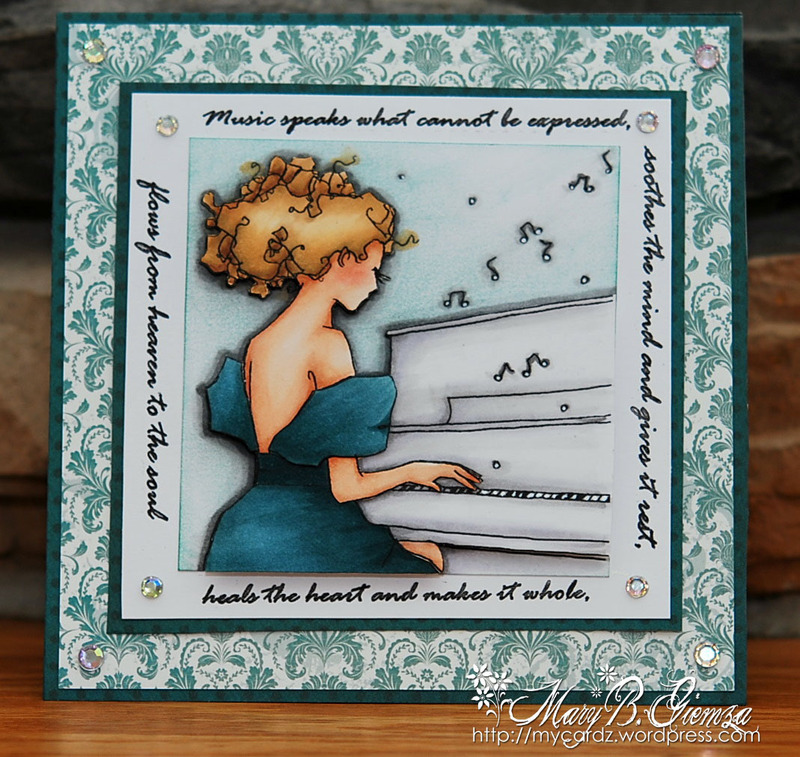 I hope you’ll join us for this challenge by including some BLUE Copic colors in your card ~ YOU could be the lucky winner of FOUR stamps from Sugar Nellie!! All the details can be found HERE. Thanks for stopping by today! Saturday is “moving day”!! Hello! Happy March 1st … hoping your day “came in like a lamb”! 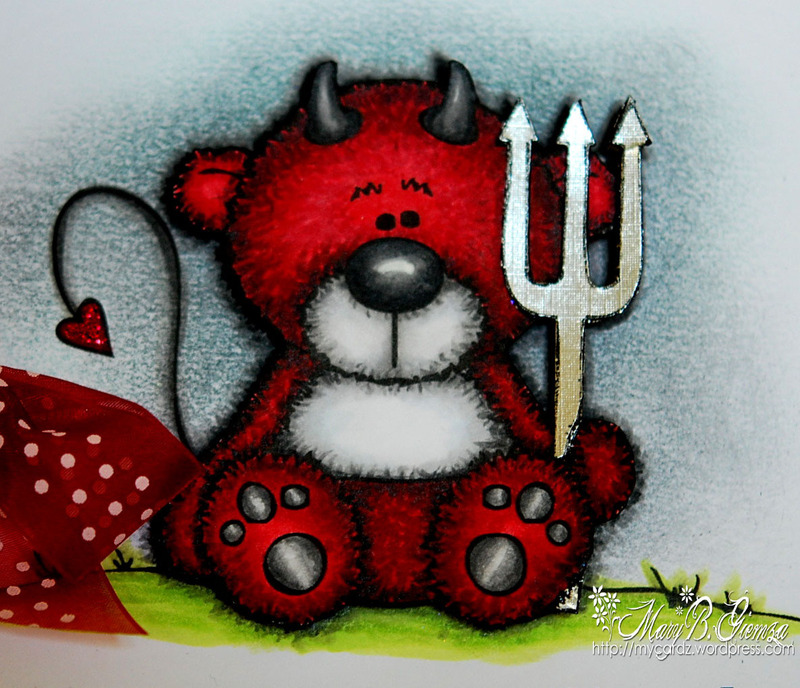 We’ve got a new challenge for you today at the Copic Creations Challenge blog. Since the past two challenges have been Cool and Warm Colors, we thought it would be fun to combine the two, using Complementary Colors. Complementary colors are found on the opposite sides of the color wheel. I love her … eye! (that just doesn’t sound right.) lol She’s been colored using E70s and B90s (see below for specific list). The papers are from the GCD Studios Ella Blue 8×8 collection pack and the sentiment is computer generated. I think I’ll give this to the girl who cuts my hair since I’m definitely blue without her! I hope you will join us for this challenge. 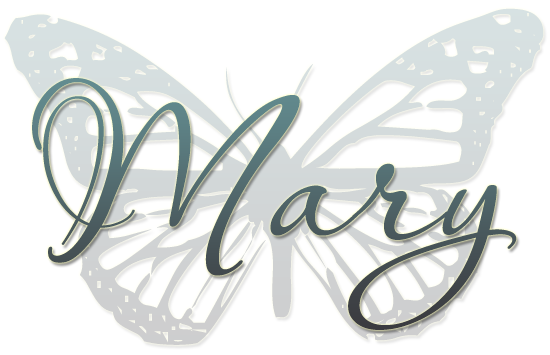 All the details and the GORGEOUS creations from the Design Team can be found HERE. 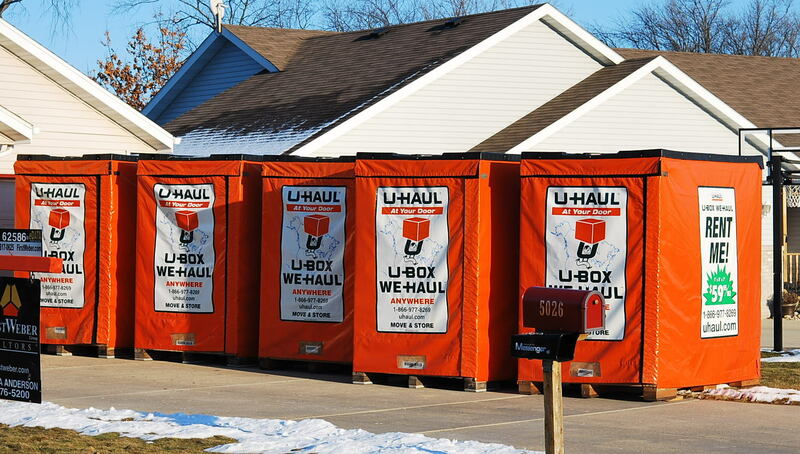 MOVING UPDATE: We had FIVE pods delivered this weekend – now lining our driveway! I know the neighbors are loving us right now. They couldn’t be any brighter … I’d say they’re a Copic YR08! How cute is this little cheerleader!? 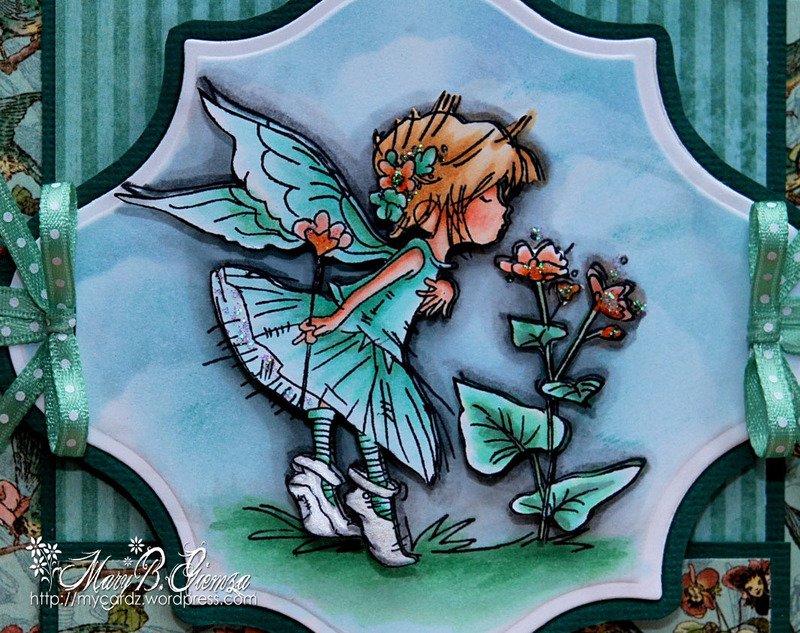 She’s from our sponsor over at the Copic Creations challenge blog this week ~ Bugaboo Stamps. Our challenge is to use WARM colors for your Copic creation. 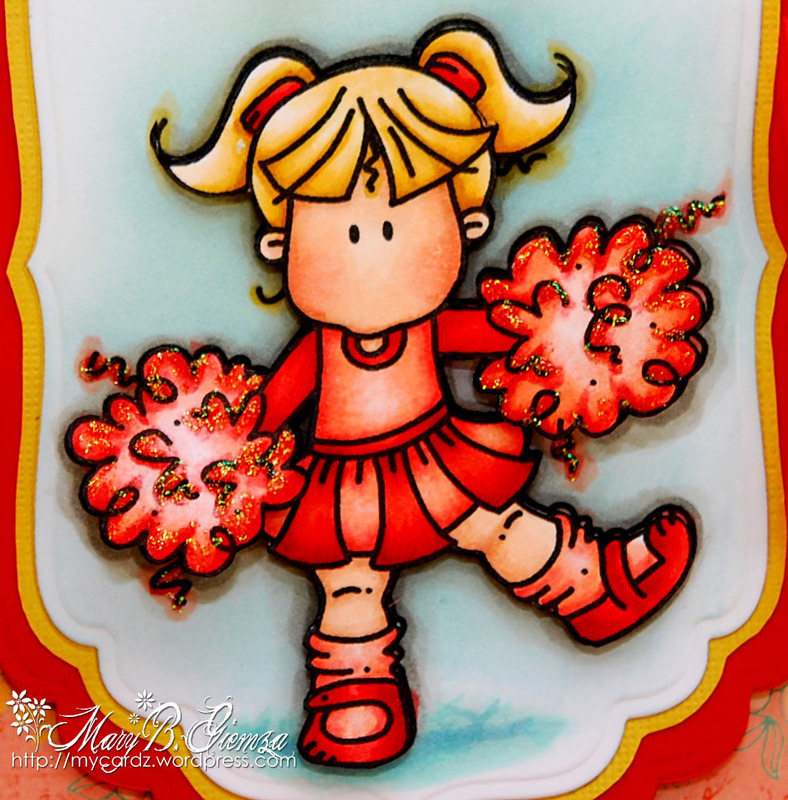 I chose this image (Bugaboo Brats ~ Cheerleader Girl) a few weeks ago, not knowing at the time how appropriate she would be for me today! 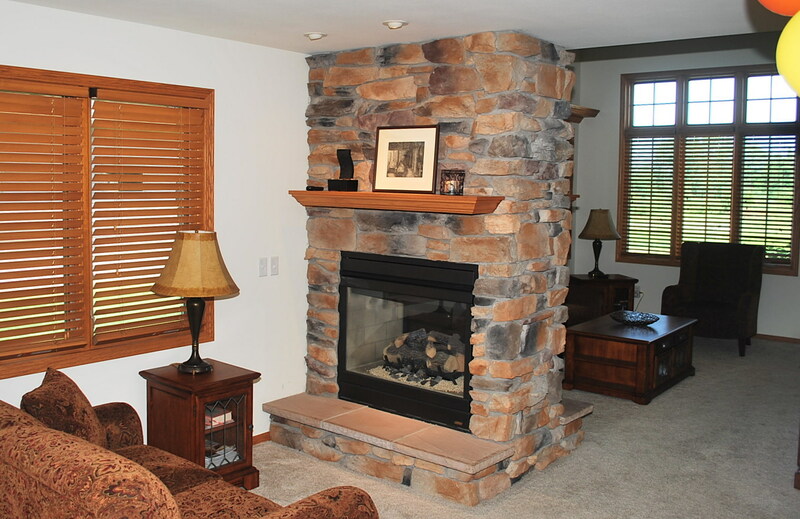 AND, we’ve found an awesome new house that we LOVE, love, love! YAY! The crazy part is, after all this time with no action, both houses close in March! Eeek. It’s a little overwhelming right now trying to work out all the details … ours closes on March 21st, and we just found out yesterday that the new one won’t close until March 31st! So we’ll be homeless for TEN days – along with our two cats! hmmm… gotta work on that! But, back to the Copic Creations challenge! 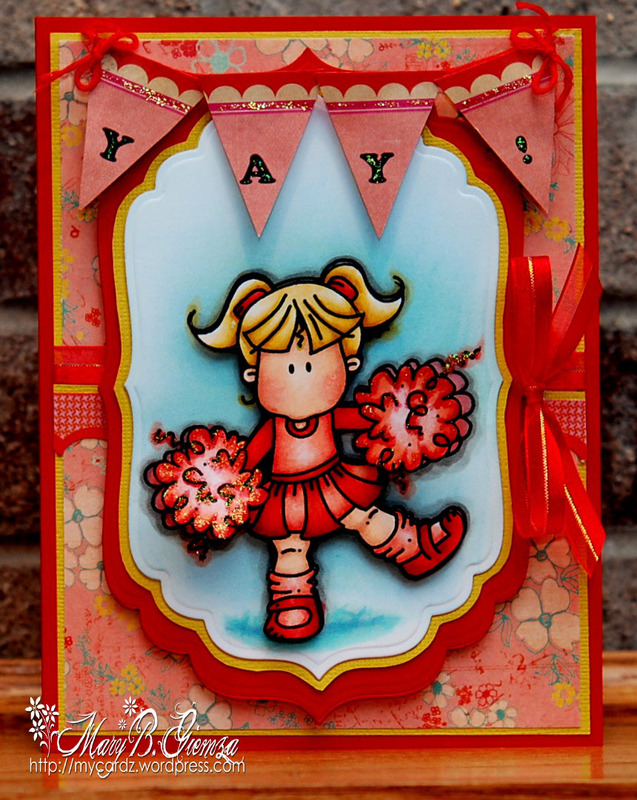 Here’s the full card showing me with my pom poms!! I hope you can join us for this challenge. All the details and the amazing samples from the mega talented Design Team can be found at the Copic Creations challenge blog. Not sure of my schedule for the next few weeks (months??! ), due to our big move! But, I hope to pop in with updates occasionally. 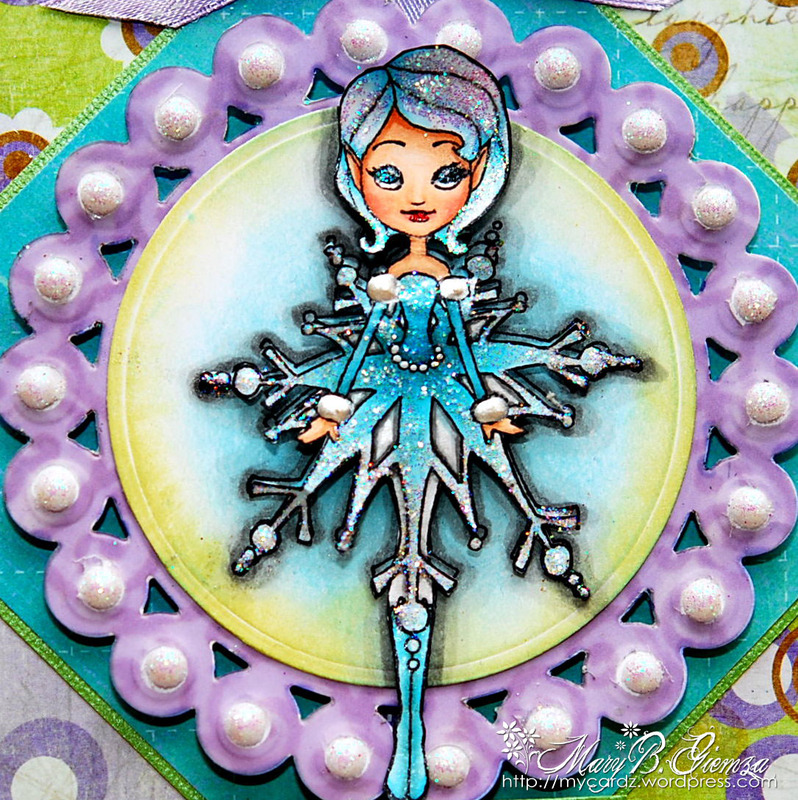 We’ve got a new challenge for you today at the Copic Creations blog ~ COOL colors. We’ve included lots of information on how to determine if a color is either Warm or COOL, including charts and links. AND, we have a wonderful sponsor this week . . . the awesome Lili of the Valley! They really have some of THE cutest images around. I’ve added some clouds in the background using this fun technique I found from Gina K. on the awesome Stamp TV. 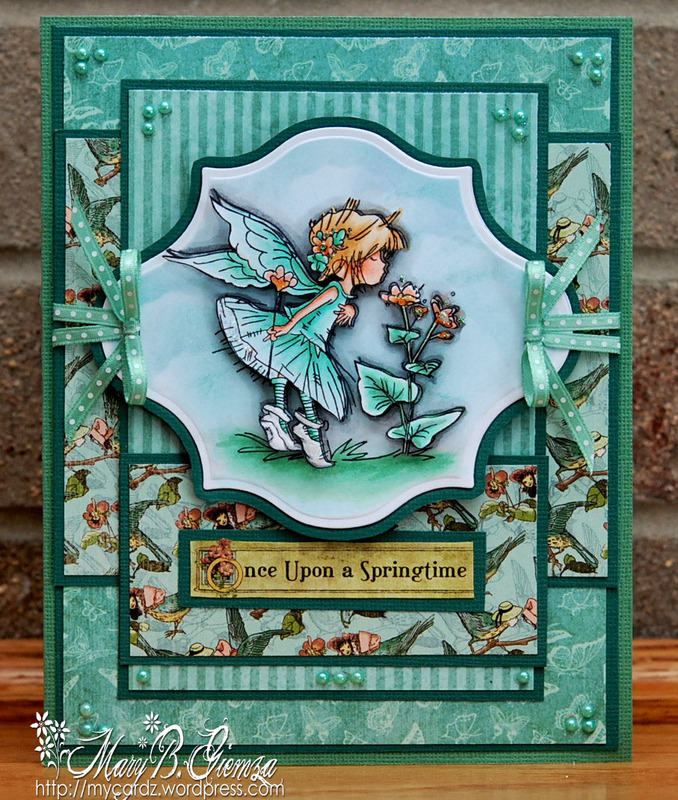 The papers and sentiment are from the Graphic 45 Once Upon a Springtime 8×8 paper pad. If you love LOTV images, be sure to stop over at the Copic Creations blog to see all the amazing projects from the DT. I hope you can join us for our COOL challenge! Thank you EVERYONE for your wonderful wishes! 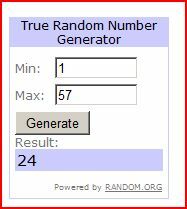 Congrats Rach ~ I’ll be sure to have your gift certificate to you later today! Some exciting newz to share!! 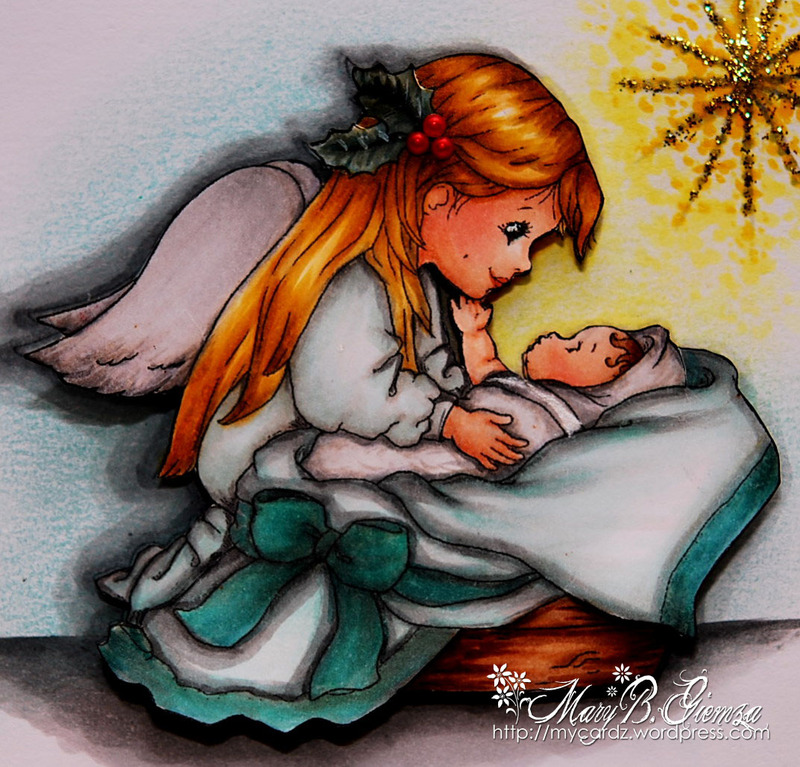 I was soooo excited to have been asked by the Editor of Scrap Street.com Magazine if they could use one of my Phindy’s Place Christmas Cuties cardz in their Holiday magazine edition being released today!! And what great timing by WordPress to add the falling snow today! All the details on this card can be found in the ScrapStreet.com Magazine here! Happy Wednesday and December 1st!! Can you believe it?! Time is flying by. 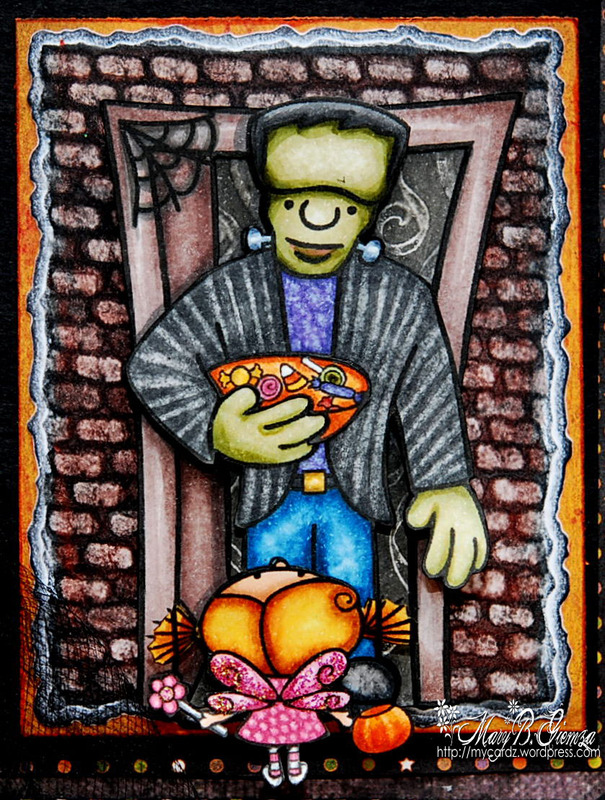 We have a great challenge this week at the Copic Creations blog . . . one that I think many struggle with ~ LIGHT SOURCE – where light hits and creates shadows. And, we have an awesome sponsor, one of my most favorite! 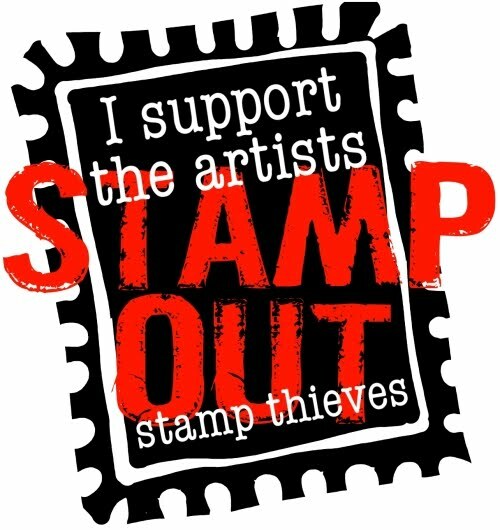 Whimsy Stamps ~ with a couple of awesome prizes!! Better check it out HERE. 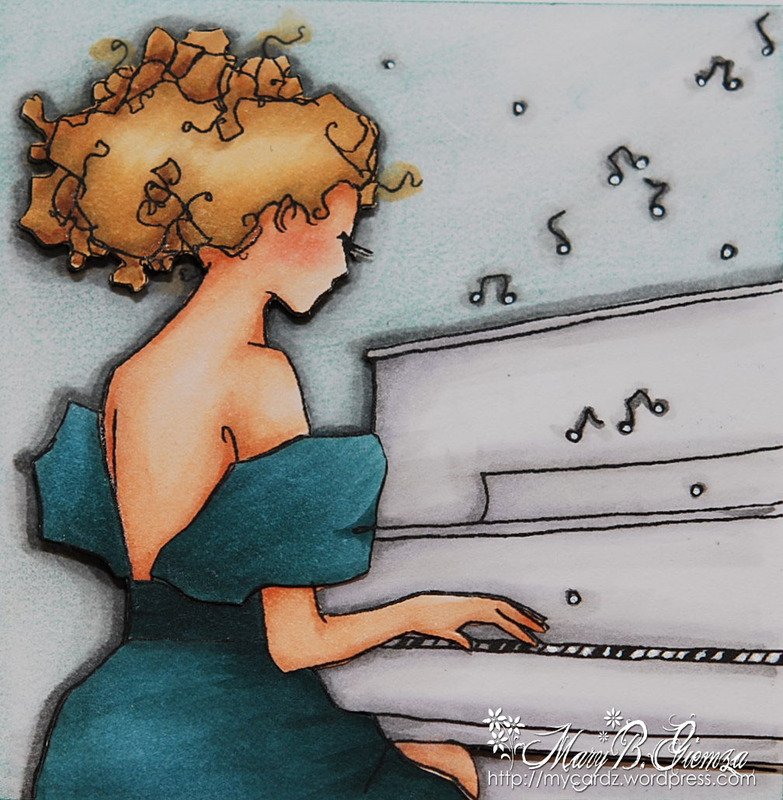 I totally fell in LOVE with this adorable image illustrated by the awesome Crissy Armstrong for Whimsy. It’s called Touched by Love and is a brand new image being released today! I added the star, hoping to make my “light source” a little more pronounced. I hope you can pop over to the Copic Creations Challenge blog to take a peek at the other Whimsy images showcased by the always amazing Copic Creations Design Team! They’re the best!! Nope, our challenge this week is NOT sparkle! But boy did I go a little overboard with the sparkle on this one!! Eeek. The actual challenge this week at All That Scraps is SNOWFLAKES. 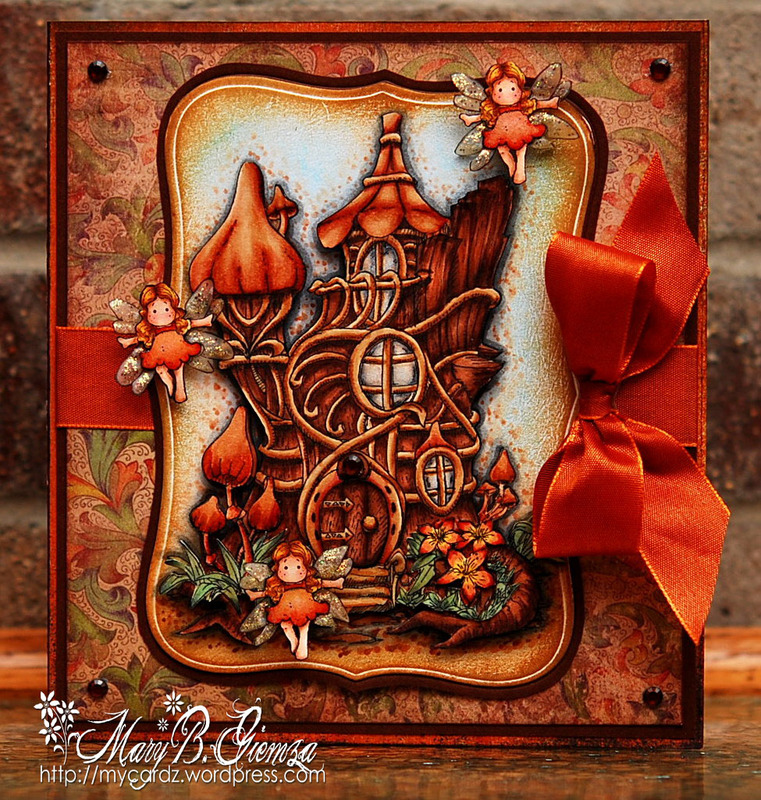 This gorgeous image from the awesome Amy Young is another brand new release for the month of December at All That Scraps. 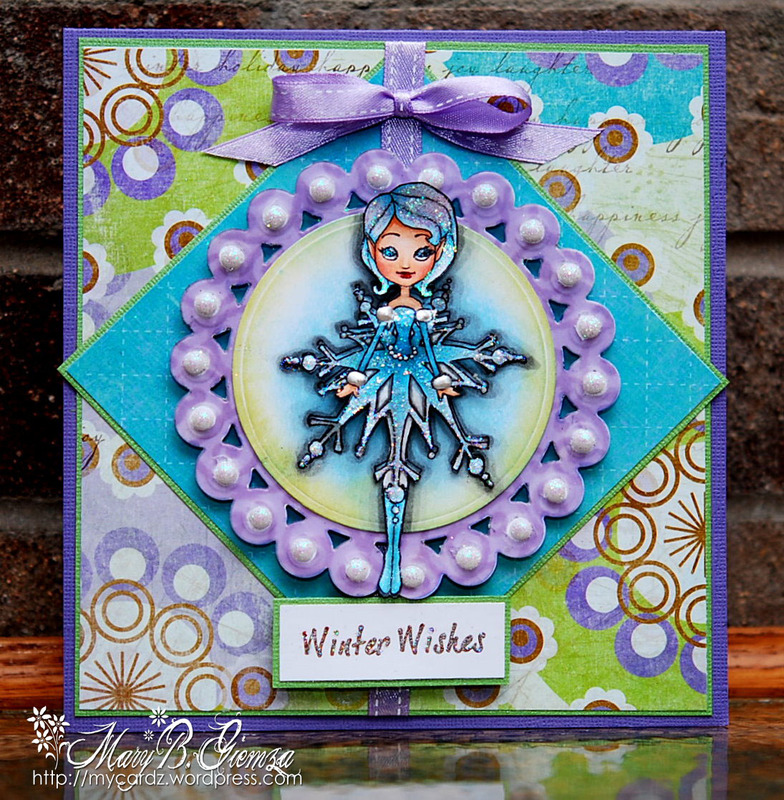 Be sure to pop over to the All That Scraps Challenge blog to see all the SNOWFLAKE samples from the DT – I know you’ll be inspired to join us! 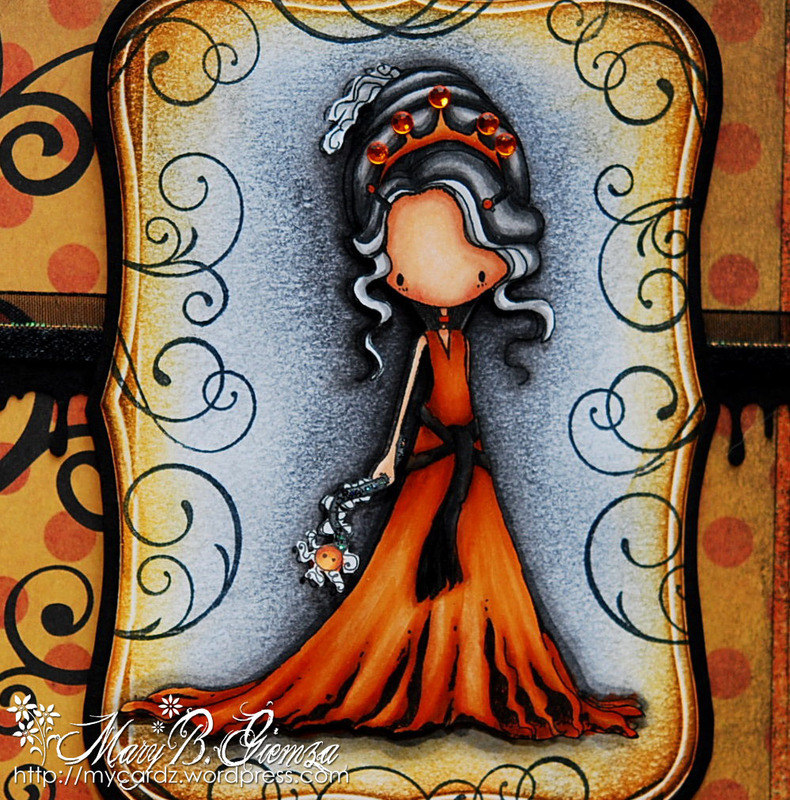 Copic Creations Challenge ~ Browns & Make a Scene! Happy Monday! Hope you don’t have a sugar hangover today! I won’t even go on and on about how amazing it is that it’s NOVEMBER already!! Eeeek! So how do you like my little fairy tree house … perfect of these mini Tilda fairies from the Magnolia Fairy Tale Collection! They are only ONE inch tall! Our challenge this week at Copic Creations is to use your favorite combination of the MANY earth tone Brown Copic colors and/or to Make a Scene! The Make a Scene part is to promote our awesome sponsor ~ Make “It” Crafty! 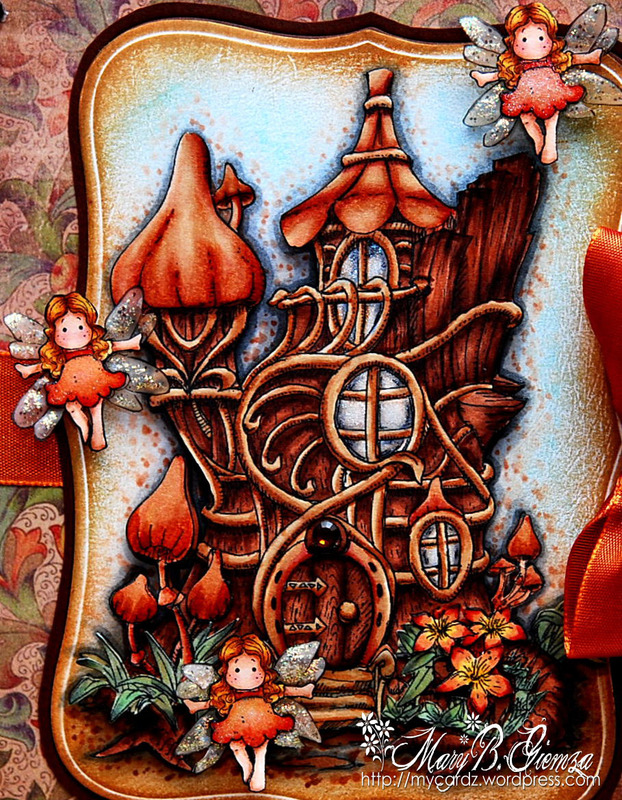 If you love coloring with your Copics, you’ll LOVE the awesome digital images from this store, perfect for creating a scene with your favorite character stamps! This image is called Fairy Tree House and it was a blast to color! Suzanne Dean from the team said it was just like coloring in a coloring book, and I totally agree! Lots of amazing details on these images. 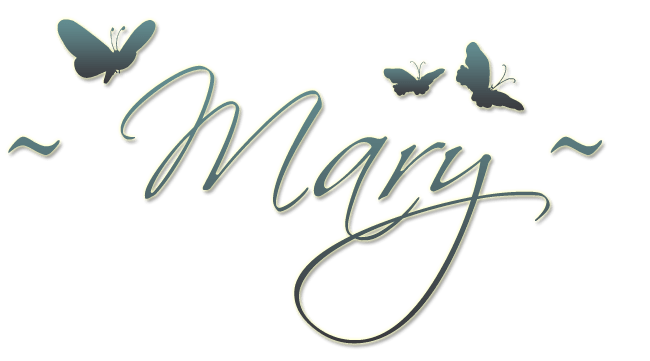 And, Zoe, the owner and creator of Make It Crafty has several very helpful video tutorials – one in particular goes into great detail on how to use multiple digital images using MS Word. I hope you’ll take a peek at this fun store! And, the awesome creations from the always amazing Copic Creations Design Team ~ they never disappoint! Thank you! Hope you have a great week. Copic Creations Challenge ~ Colorless Blender Tricks! his spiffy knit sweater ! her pumpkin … I think that’s it! We’ve included LOTS of tutorials to help with this challenge. I hope you will join us for some blender pen fun. All the details and the AWESOME creations from the team can be found at the Copic Creations Challenge blog. Thanks for stopping by today. Hope you have plans for a great weekend! Copics: YR12, 14, 18, 68; B97, 99; BV08; Y11, 17, 21, 23, 28; R83, 85; YG91, 93, 97; E000, 00, 07, 11, 13, 71, 74, 77, 79, 97, 99; C2, 3, 5, 7; W7; T3, 5, 7, 9; Colorless blender! Another Double Header Challenge Day! This gothic princess, illustrated by Christy Croll, is called Gossmere – and I really enjoyed coloring her! 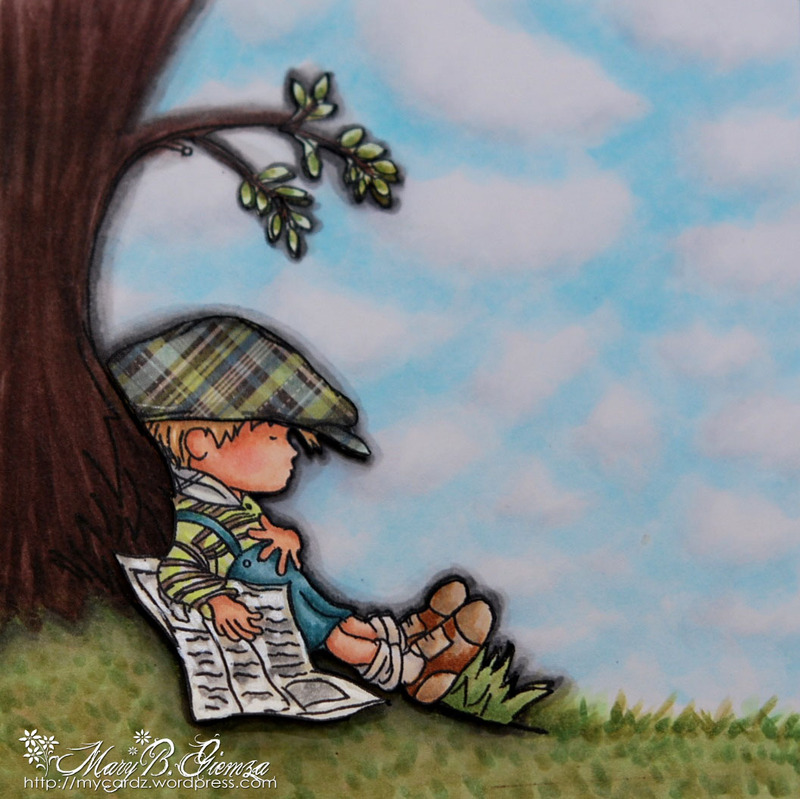 I hope you can pop over to the Copic Creations challenge blog to take a peek at all the amazing Tiddly Ink images from the SUPER talented CC Design Team ~ you’ll definitely be inspired to join us for this fun challenge! This is a tough one to post today! 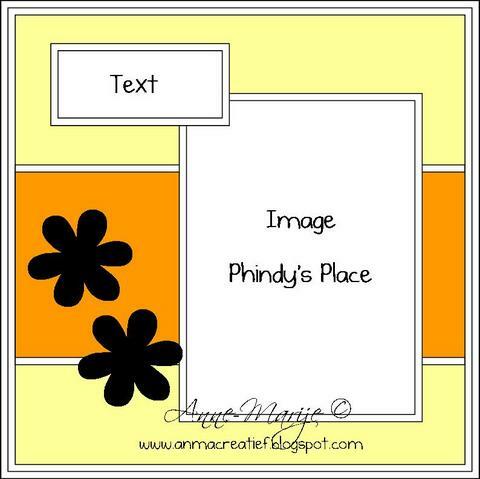 I’m sad to say that this is my last challenge card as a Design Team member for Phindy’s Place. I’ve been really overwhelmed these past few months with a few too many design team commitments and have slowly started to cut down on some, hoping to open up some much needed time to stop by and visit all my favorite blogs! It’s been such a pleasure to be a part of this wonderful team – Phindy is one of the nicest and most talented illustrators that I have had the pleasure to work with . . . each and every talented member of Phindy’s Design Team has become a true friend through these past six months. I will miss you all!! 😦 Gosh, I don’t like to say good-bye! Phew! 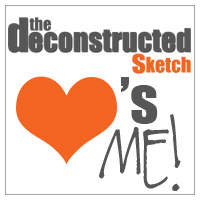 Our challenge this week at Phindy’s Place is this fun Sketch from Anne-Marije of the team. I’ve used one of the new Cuties by Phindy, called Twick or Tweet ~ I just love that shy look on her adorable face! Here’s my little “Glitter Girl”! 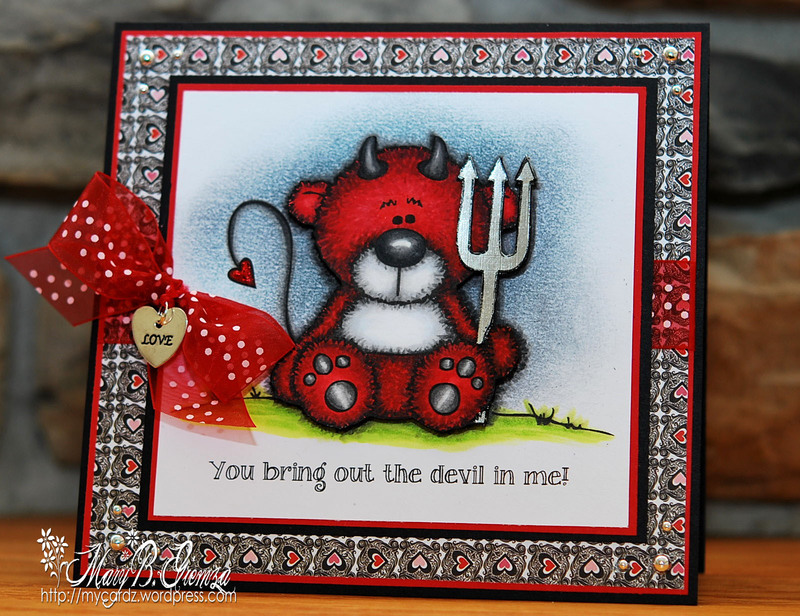 Be sure to stop over at the Phindy’s Place Friday challenge blog to see all the awesome cardz from Phindy’s team, I know you’ll be inspired to join us for this challenge. Thanks for visiting today! Happy Friday.